I love to throw a dinner party, but often times we have more guests than our table can seat. When that happens, it can be easy to feel overwhelmed. But fear not! Enter, the food bar. Food bars are so perfect for entertaining because they can be as simple or extravagant as you please, your guests will LOVE customizing their own food or beverage, and they have a great wow factor. 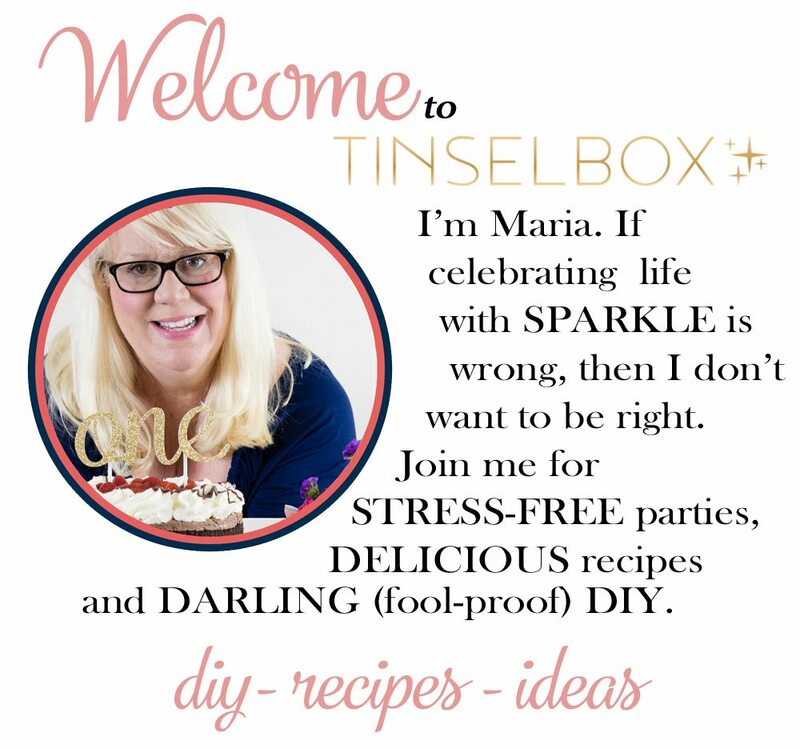 In this post, I’ve selected my favorite 8 food bars for entertaining, and shared what kind of parties I think they’d be great for. So let’s get to the good stuff! 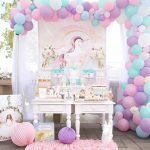 Just look at this ADORABLE set up! 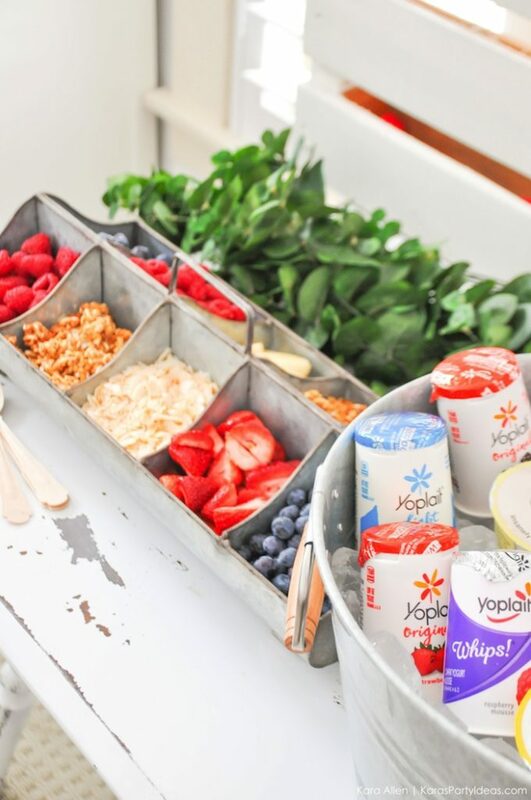 It’s just so inviting–guests won’t hesitate to check it out and assemble their own yogurt parfait. As Kara did, be sure to include small dishes or cups, so your guests will have plenty of room to add all the fun fruit, nut & granola toppings you’ve provided. There are a few things I especially love about Mint Event Design’s waffle bar. First, the setup is just perfect: the coordinating–but not matching–dishes, the rustic details, and the varied height of the display. Second, I love that they have provided sweet and savory options to top your waffles! 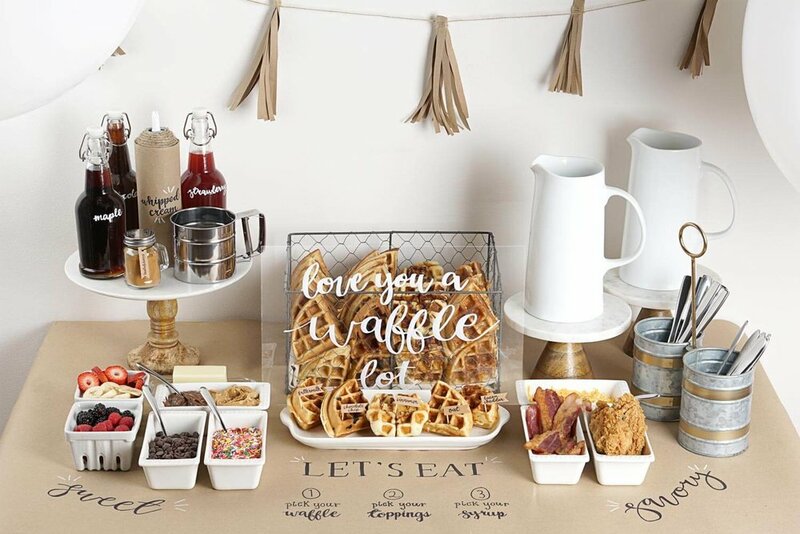 That gives this waffle bar so much flexibility and allows guests to come back for more. Ok, ok. I know technically this isn’t a “food” bar. But I couldn’t resist including this in my round up. I mean, look at how EPIC this spread is! 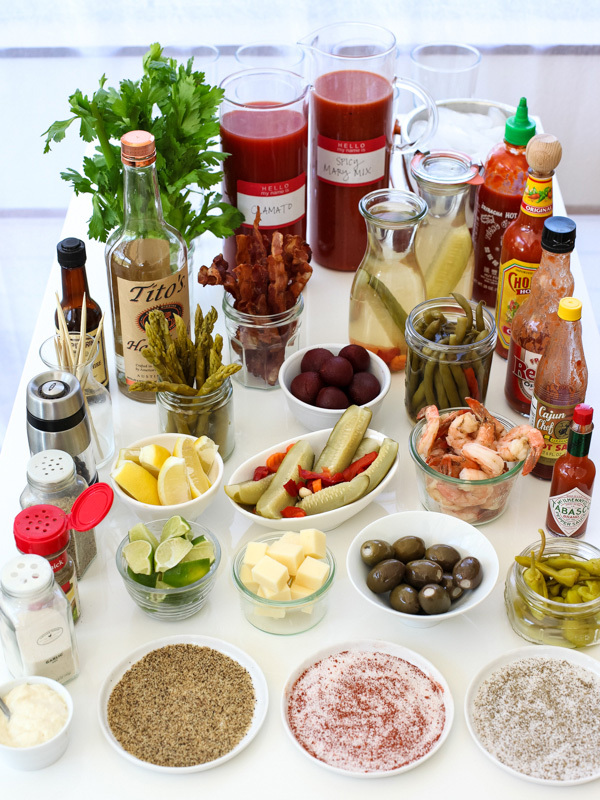 Funny enough, I am personally not a fan of bloody marys, but I totally appreciate all the different ways they can be customized. And as such, everyone has their own favorite way to drink them–extra spicy, extra briny, extra tomatoey–so this is the perfect way to keep all your cocktail drinkers happy at your party! This was by far, the most unique food bar I found. And look how DELICIOUS it looks! I really love bruschetta. The light char on the bread, the richness of olive oil and the acidity of the tomatoes just make for a perfect bite every time. This is sure to please every guest at your gathering. Great for: brunch, lunch or dinner time parties, graduations, showers. 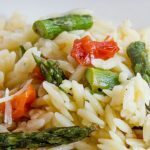 Keep it simple: Limit your additions to 2 -3, and pair it with a big bowl of pasta! I think taco bars are probably the most classic food bar because there are so many ways to customize one. 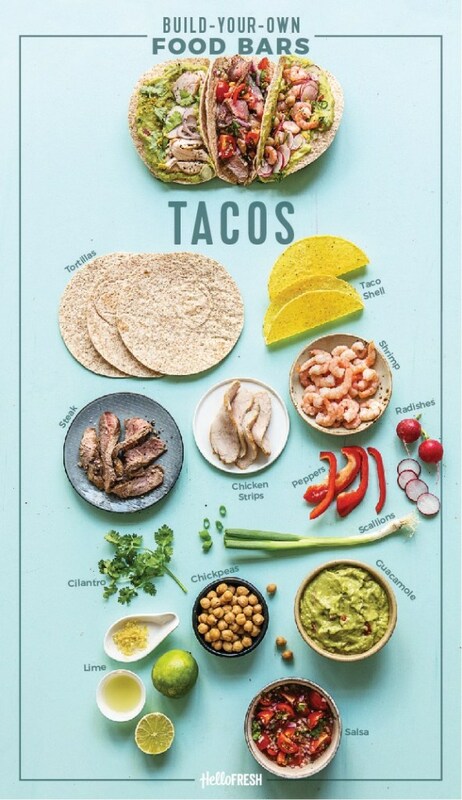 Virtually every part of a taco has options. Different kinds of tortillas, endless options for proteins, and toppings can range from standard (think sour cream, pico de gallo, guacamole) to unique (think mango salsa, roasted corn, cabbage slaw). A taco bar is guaranteed to be a crowd pleaser! Great for: everything! Kids parties, adult parties, lunch/dinner, or even brunch if you throw some scrambled eggs in the mix! 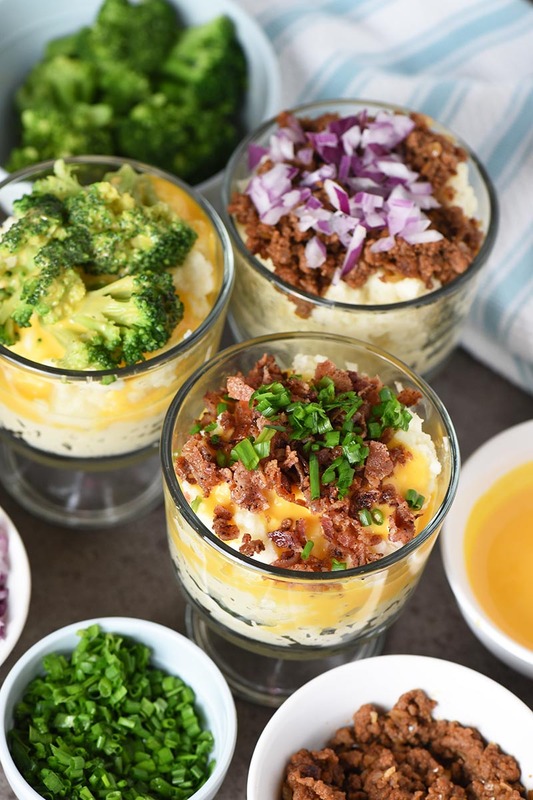 Mashed potatoes are another crowd pleaser that you really can’t go wrong with. Cute individual serving dishes up the wow factor. Great for: heartier brunches, lunch or dinner gatherings. Pair with a big platter of fried chicken, sliced roast turkey, beef or ham. Here’s a great spin on a classic dish. 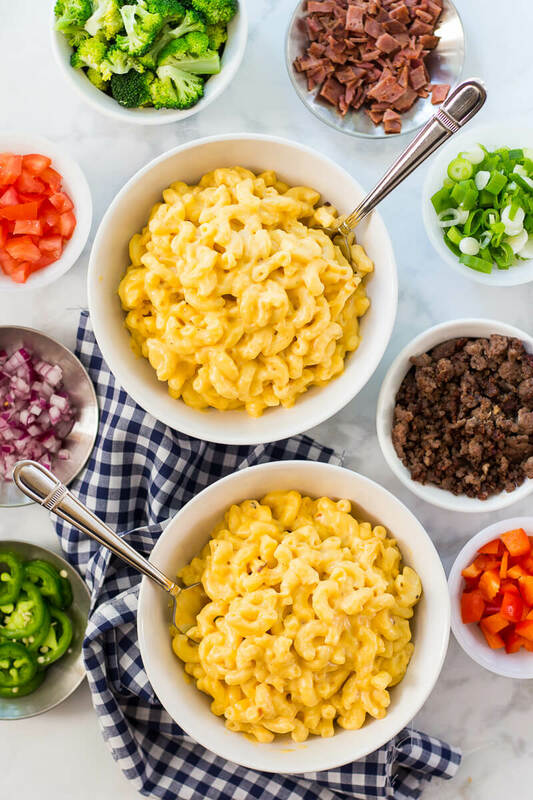 There are entire restaurants devoted to different kinds of mac & cheese, so why not riff on that idea with a mac & cheese bar? Even with a minimal amount of toppings you are sure to provide something for every guest. We couldn’t forget dessert. 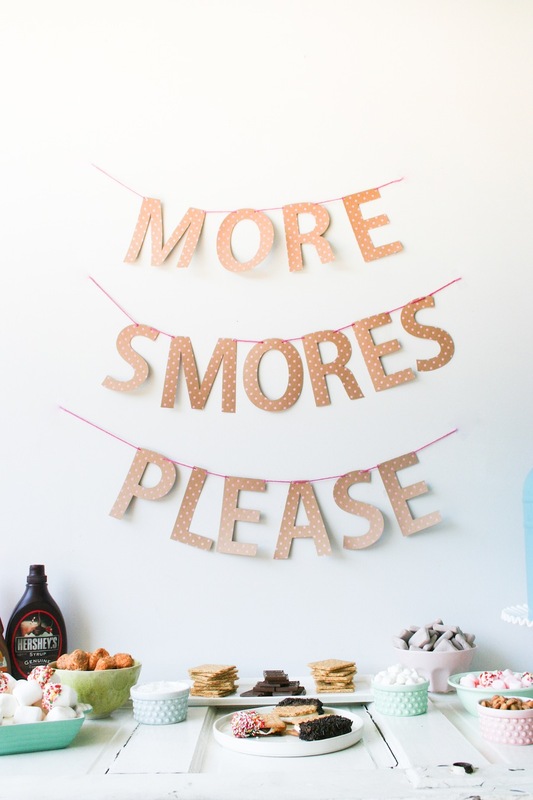 Rounding out our collection is a classic dessert–s’mores! There are so many fun ways to customize your s’mores–different flavor graham crackers, other kinds of cookies altogether (roasted marshmallow between mini chocolate chip cookies! ), different flavors of marshmallows, and other fun additions like chopped nuts, sprinkles…there are seriously infinite possibilities with this option. 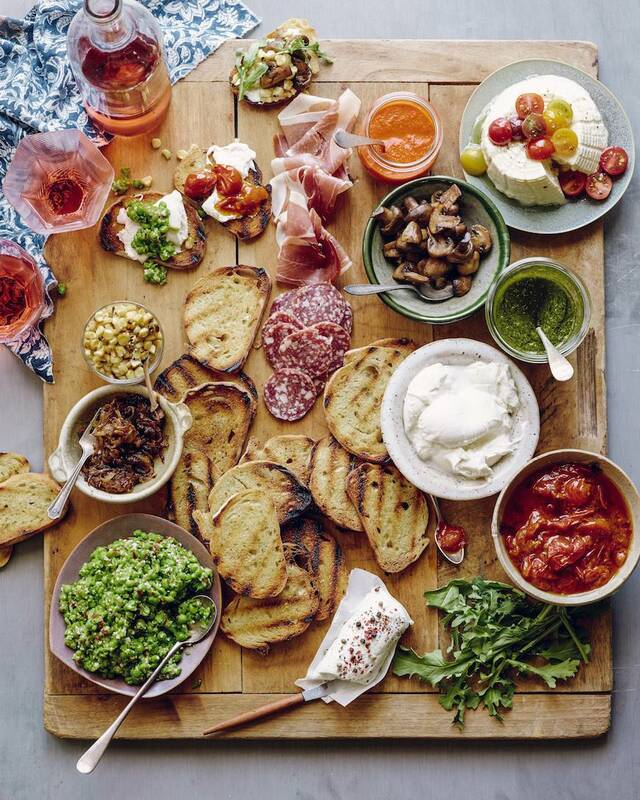 So there you have it, my favorite ideas for food bars for entertaining. The possibilities are truly endless, but remember–it doesn’t need to be elaborate to be a success. First & foremost, make sure your food tastes good, and secondly, dress it up. 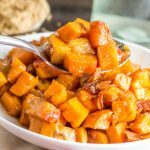 Coordinating serving dishes go a long way towards presentation, and taking items out of their wrappers or labeled containers gives your spread that catered look. We do eat with our eyes first, after all! Thanks so much for sharing my mashed potato bar! Mmmm, that macaroni and cheese bar (and the s’mores bar) is looking mighty good!